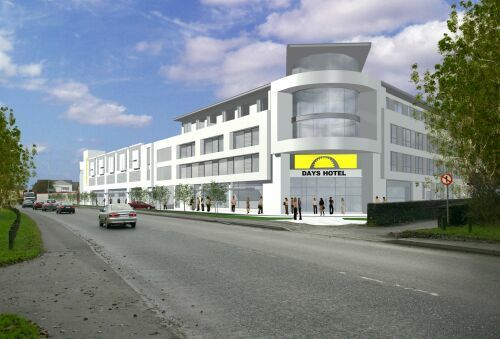 Castlebar is to get a new 90 bedroom premium three-star hotel with the announcement that PREM Group, the specialists in the management of hotels, serviced apartments and serviced offices are to manage a Days Hotel franchise in the town. The hotel is being developed by Pat and Mary Jennings and will be located next to the hugely successful TF Royal Theatre, which they also own and operate. The hotel is expected to open in October, and will boast the ultimate in cool, clean design, with chic d�cor throughout. The development will mark the opening of the first International brand in the town, under the globally renowned Days Hotel franchise. PREM Group are specialists in the management of hotels, serviced apartments and serviced offices. Days Hotel is one of the global franchised brands of Cendant Corporation, which has over 1,800 hotels worldwide. IiBC Open Day Saturday 9th Sep.
Network Mayo - A Growing Success!